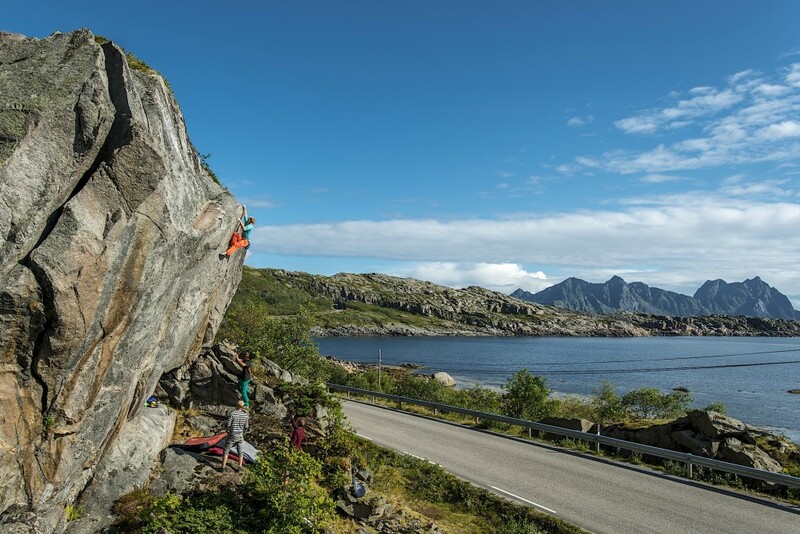 Having been to Lofoten many times, focus has always been on roped climbing, single or multipitch. Sometimes we’ve played around on the boulders below Presten or elsewhere, but without a pad there’s been nothing serious to it. Now, when living here and with two pads at the ready I’ve been able to discover a side of Lofoten I haven’t really seen before. There’s no doubt about it, some of the problems would be rated three stars anywhere in the world. 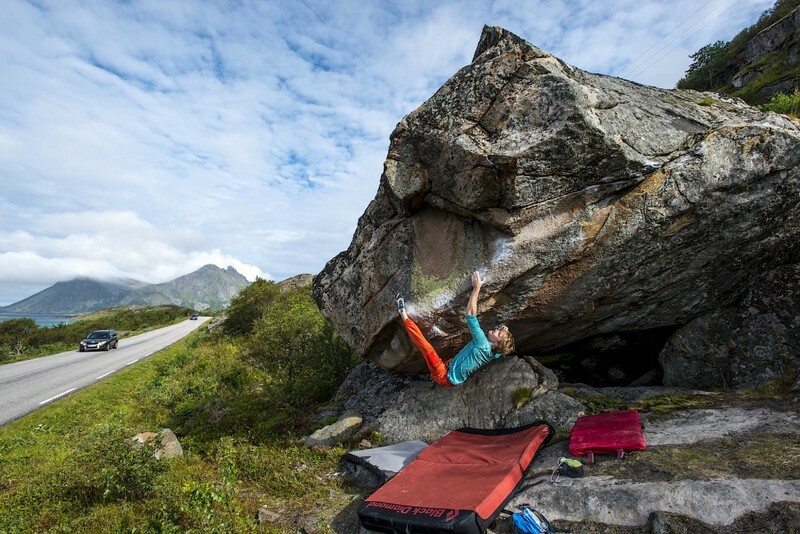 Apart from doing some bouldering on my own I have also had the time to capture some of the Lofoten bouldering with my camera. This is an ongoing project, what the end result will be remains to be seen. But why not share some of the images in the meantime? A very nice boulder near Valberg. 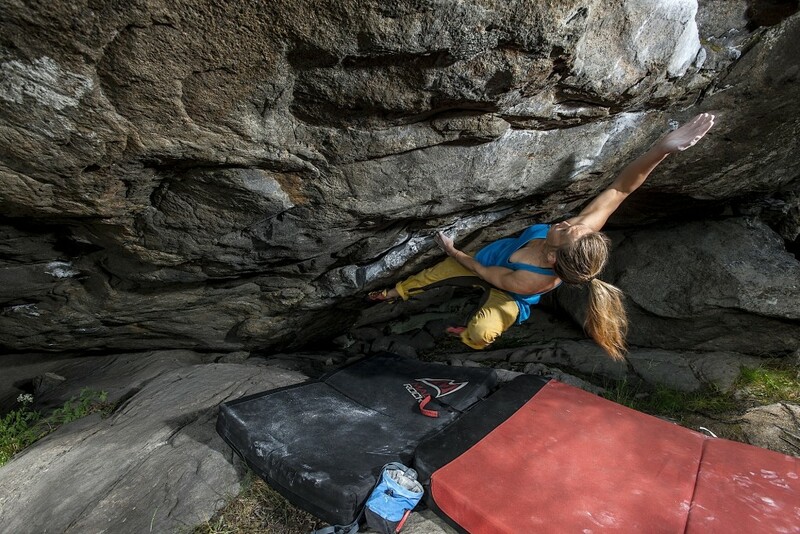 Elisa Strand trying to reach the jug on a steep problem at Stem Bastensen. 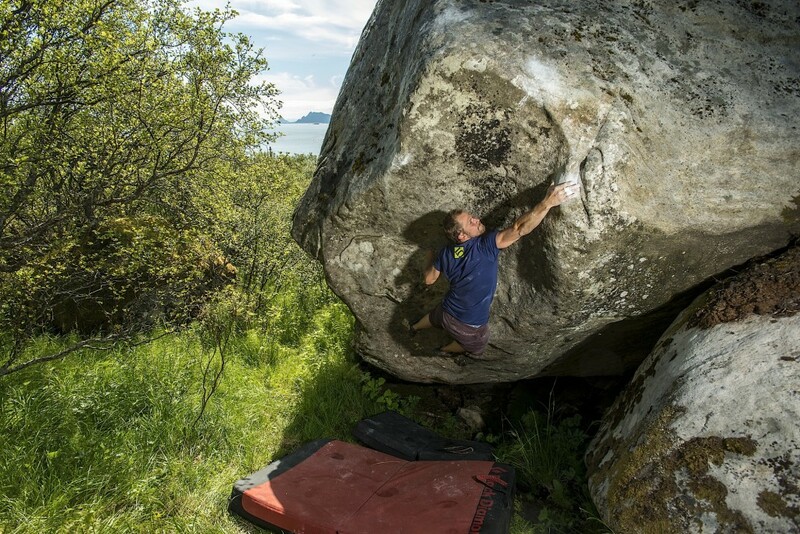 Carl Granlund trying Monster, near the Stem Bastensen boulders, just along the E10. 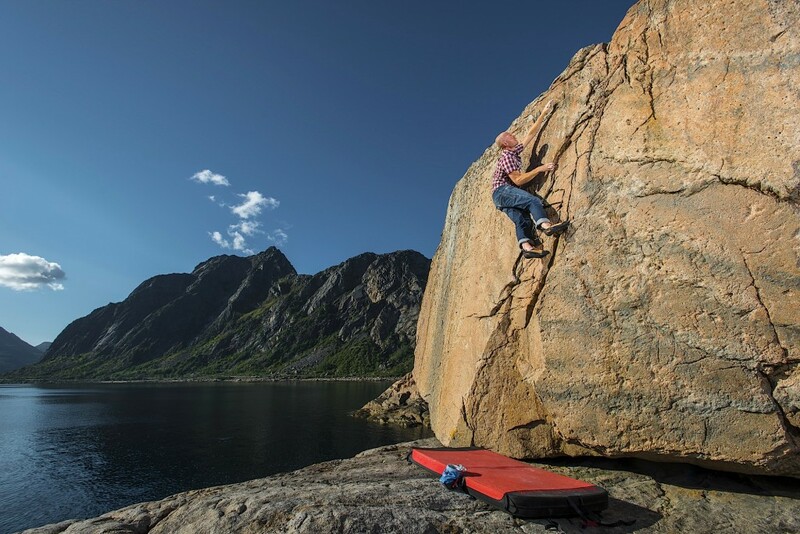 Carl Granlund highballing it on the first ascent of Fear of Temptation, near Svolvær. 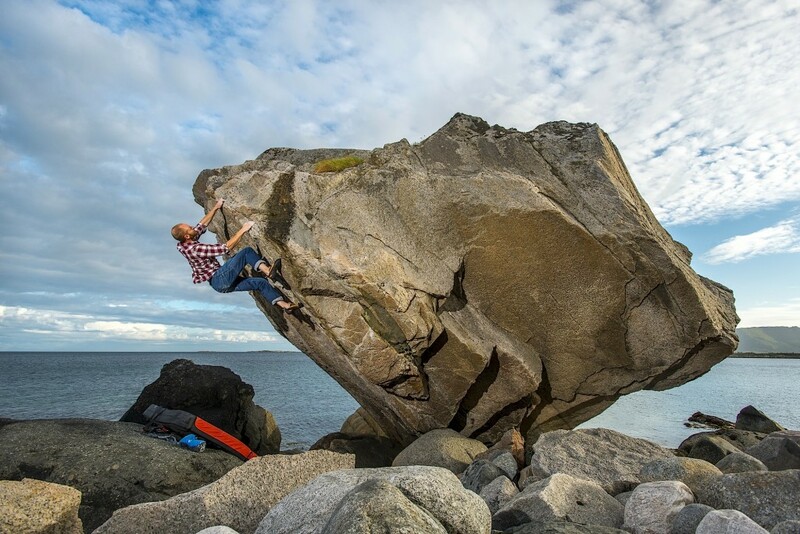 Henrik Sundahl making quick work of an immacculate, slopey boulder at Stem Bastensen. A nice, easy crack at Børvågen, near Svolvær.